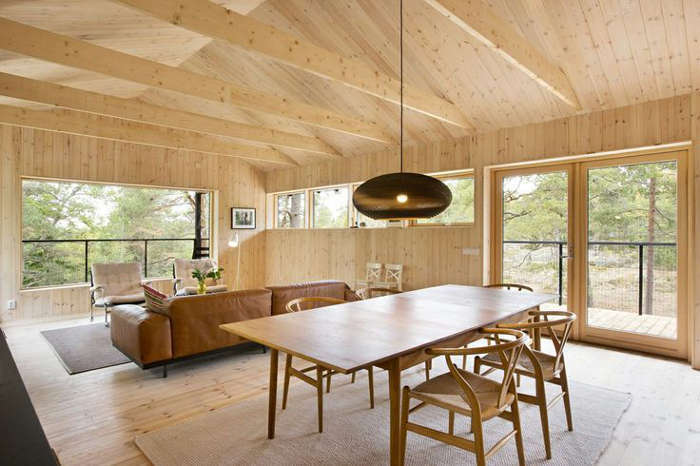 This cosy and inviting cabin is the work of architect Max Holst and developer Strömma Projekt AB. 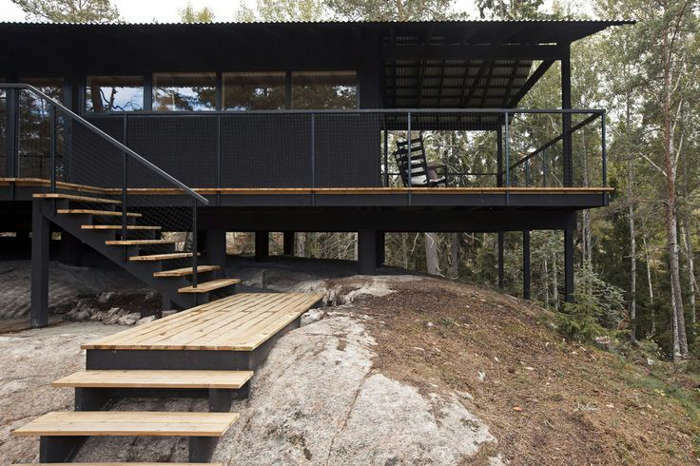 The cabin blends well with the surroundings, with its black painted exterior and the black concrete pillars that it stands on. 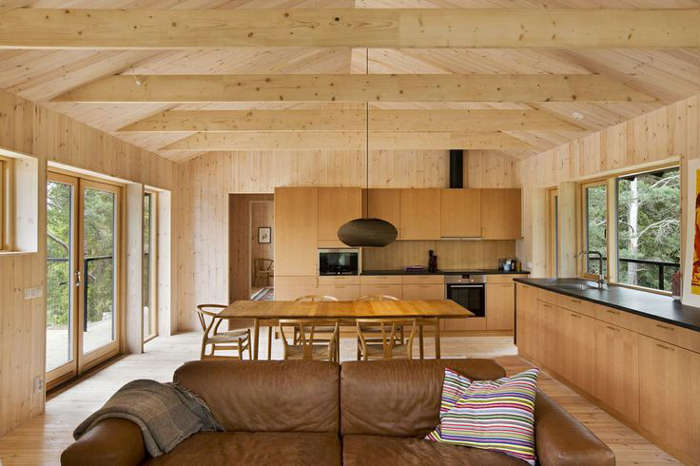 To increase its connection with nature, the cabin was made of locally sourced timber. 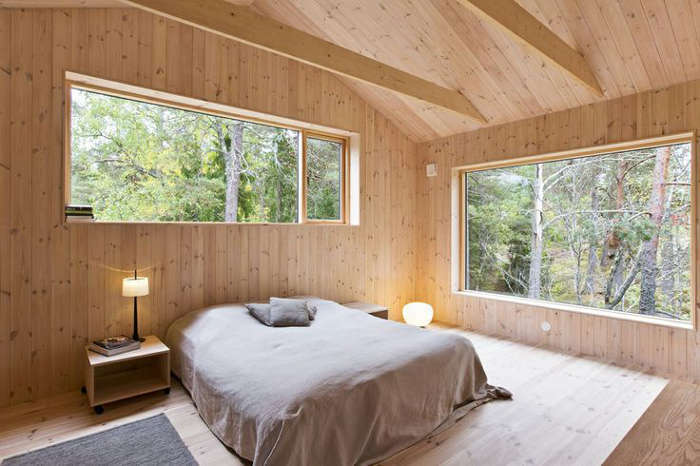 The large windows offer magnificent views and let a lot of natural light in. The interior is stylish and minimalistic, decorated with carefully selected design pieces such as Wegner’s Wishbone chairs. 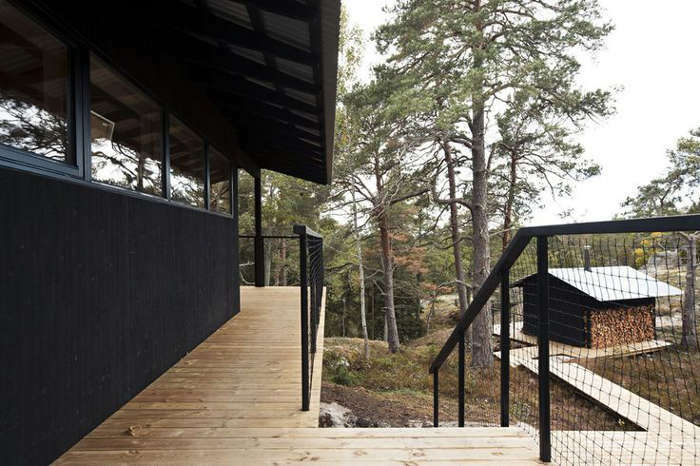 The huge sheltered terrace works as an extension to the interior and connects well it with the dark exterior. I can imagine its the best spot in the house to have a cup of coffee in the mornings! 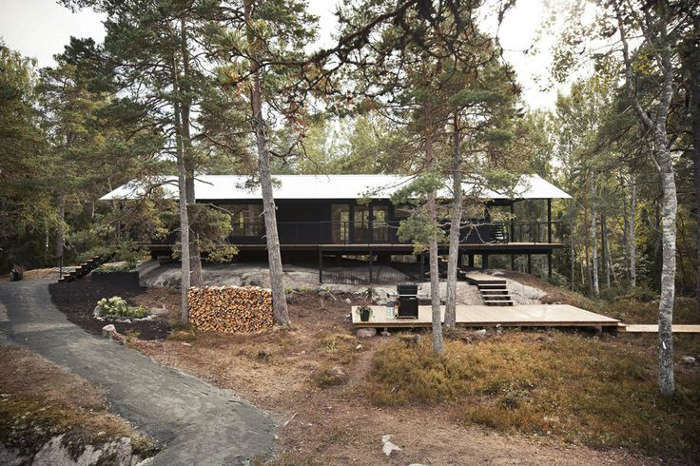 Located in the Swedish Archipelago, the cabin fits in perfectly with the stark landscape and pine trees. 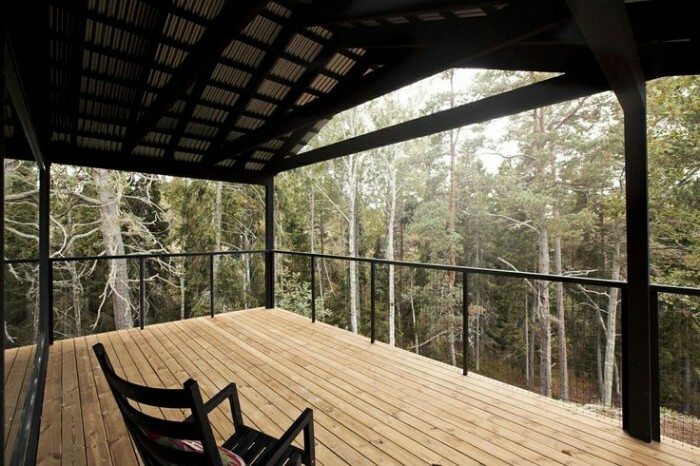 It truly offers an excellent hideaway for the cabin owners! Is it possible to see the floor plan or interior photos of the bathroom? It is Scots pine, for sure!